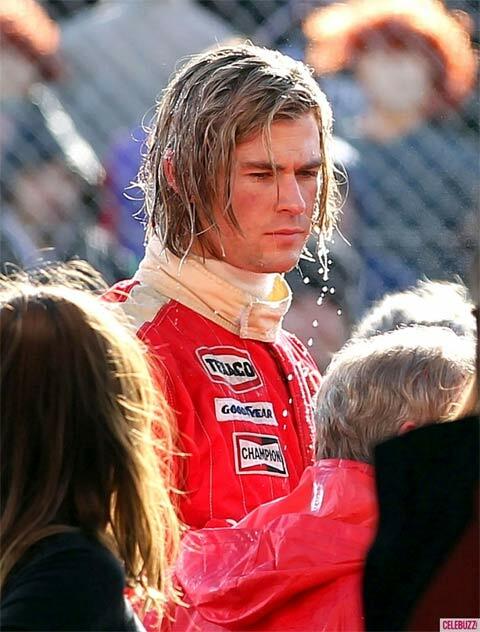 It would seem that Chris Hemsworth has grown quite accustom to wearing his hair long. While the next time we see him - in next month's Cabin in the Woods - the actor will be sporting a fashionable buzz cut, the actor best known to audiences as Thor will be sporting long locks in both Joss Whedon's The Avengers and this summer's Snow White and the Huntsman. 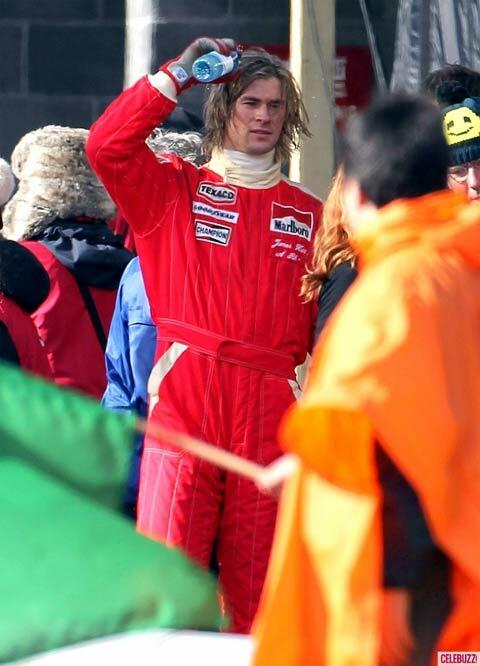 Apparently he hasn't found a reason to cut them off just yet, though, as new images from the set of Ron Howard's Rush have revealed that long-haired Chris Hemsworth is all were going to be seeing for the near future. 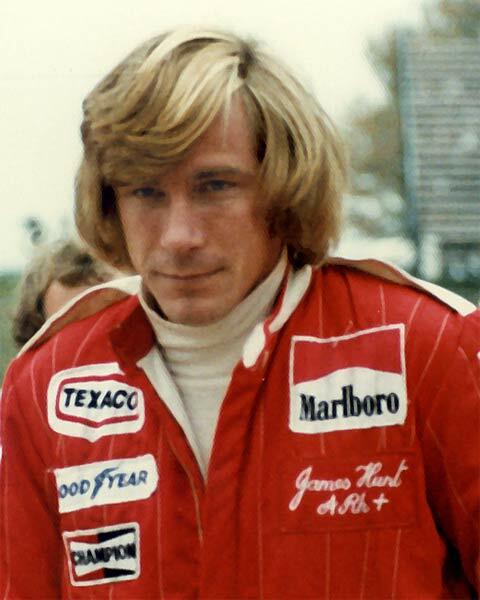 Popping up over at CelebBuzz, the shots show the actor dressed in character as UK racing legend James Hunt and if you look at photos of the real dude you'll notice that it's a pretty accurate look. Check out a few of the pictures below (as well as a shot of Hunt for comparison) and see the full gallery over at the source. Sure, his hair isn't as nicely coiffed as the real Hunt's but you can blame that on the fact that his hair is wet. Overall, it's not too shabby. Based on a script by Peter Morgan and not due out until 2013, Rush tells the story of F1 racing champion Niki Lauda (Daniel Bruhl) who, in 1976, was in a near-fatal accident on the track, but recovered and a few weeks later got back in the driver's seat to face off against his rival, Hunt (Hemsworth). The film also stars Olivia Wilde, Natalie Dormer and Christian McKay.